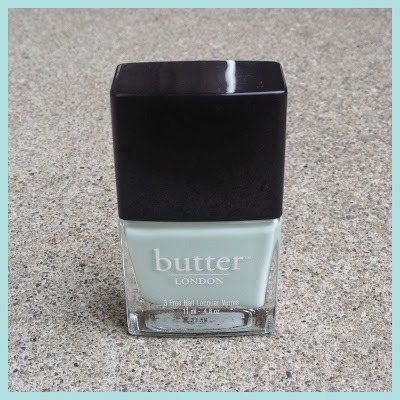 What I Blog About When I Blog About Books: NOTD: Butter London "Fiver"
Today's notd is for Butter London's "Fiver," a pale minty/seafoam green. The formula on this polish is a bit streaky. 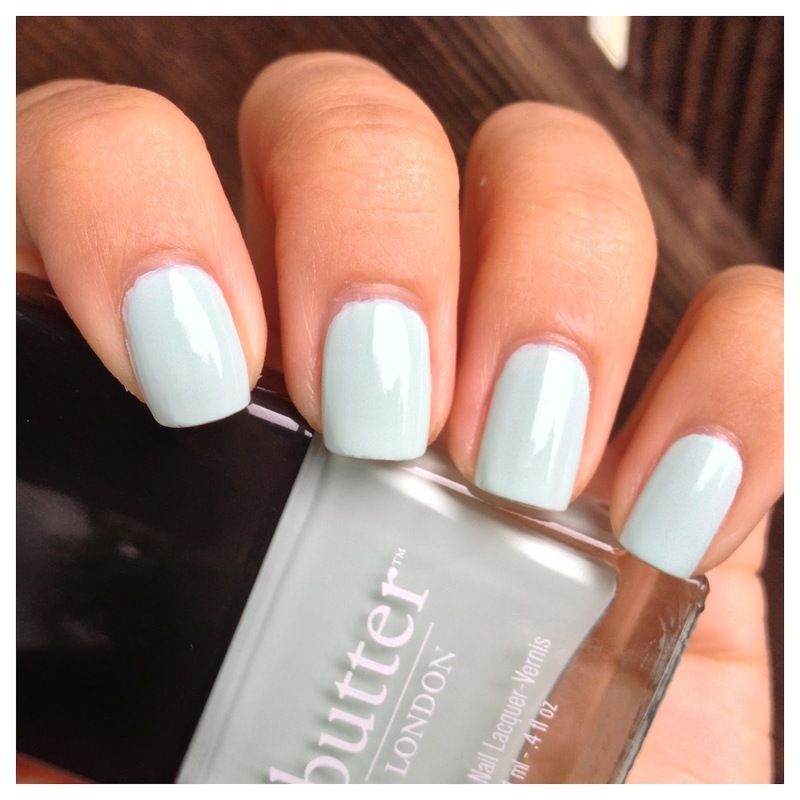 It's definitely not one of Butter London's better-formulated polishes. I needed 3 coats for complete opacity. 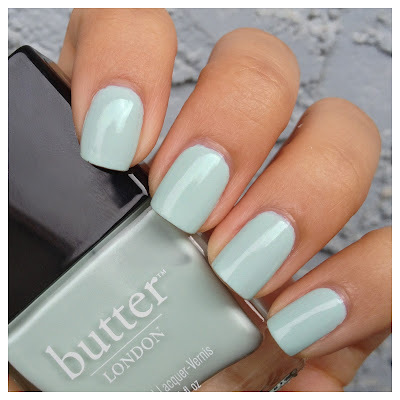 I love mint polishes in general so this one was a winner for me. I'm still in the process of comparing this with all my other mint polishes. However, through looking at some of the swatches, I cannot find a single dupe in my collection. It's bluer than some, but not as blue as others. Comparison post to come! Oh I have been lemming this for forever and a half! Do you have Essie's Mint Candy Apple? I have the Essie and just wanted to know how they compared. Wow! Based on photos, I always thought they'd be the same but not close at all! Yes, purchase justified! Thank you so much for taking the time to add the swatch in!